This is the story of two bikes. Two K bikes to be specific. In fact two K100RT's, if you want to get down to facts. 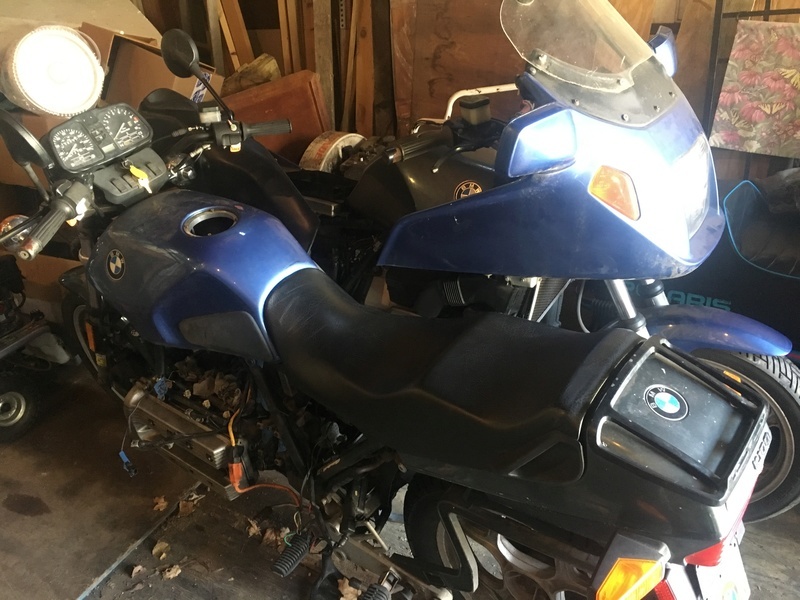 One bike came mostly put together, didn't run, and has blue fairings. 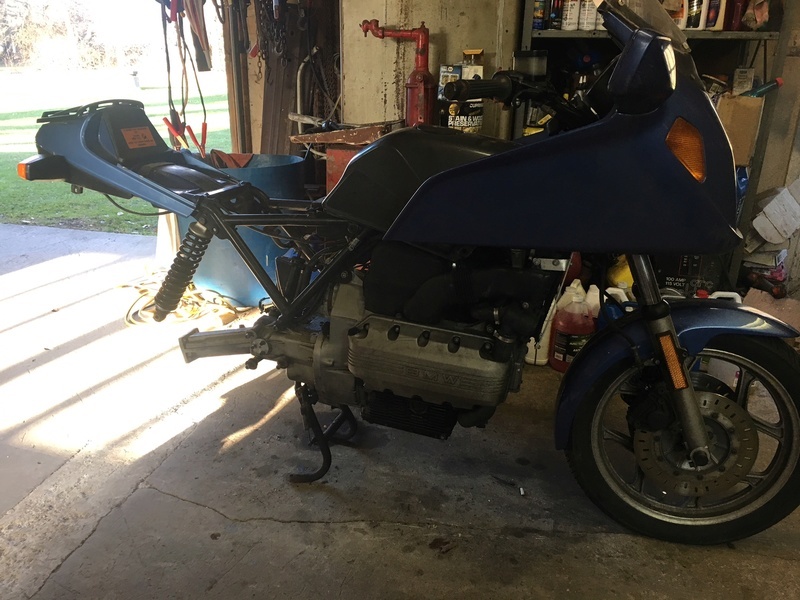 The other is a little less put together, definitely isn't ready to run, doesn't have fairings, looks a little more pieced together, and has a green tank. Now right off the bat, you may notice a few things wrong with this picture. First off, Fairing and Frankstein have their tanks swapped. 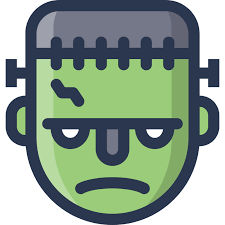 Secondly, there seems to be two extension cords within Frankenstein's frame. This is how they were purchased, and these are some of the things that I'm trying to figure out why! Haha. -Boxes of parts. Some new OEM, some used. ***Disclaimer: This is going to be a father/son project. Any mention of "we" is referring to my father, and myself. Well it seemed like the Fairing bike had the most potential to get up and running first. The bike was basically complete, and did not require any reinstalling of missing parts (sans a front brake caliper). However it was clear that it did not want to start. After charging the battery, keying the ignition and cranking the starter, something was a miss. 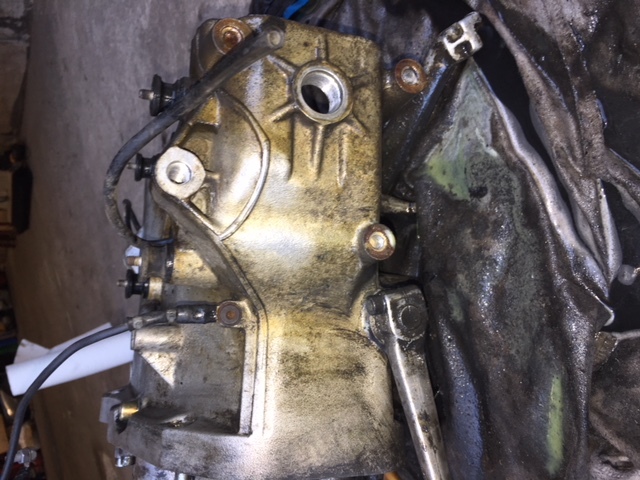 The starter was turning over, but not the engine. This lead us to the common Sprag Clutch issues that I only found after doing some research online. Reading through some common remedies, one suggested to spray some type of cleaner into the 3 Holes in the side of the Sprag Clutch. This could be seen after removing the crank case cover, and peering back at the Sprag. Unfortunatley the Fairing bike was manufactured in August of 1984. So it's a 1985 model year bike, with a Hole-Less Sprag. So that remedy was a no go. 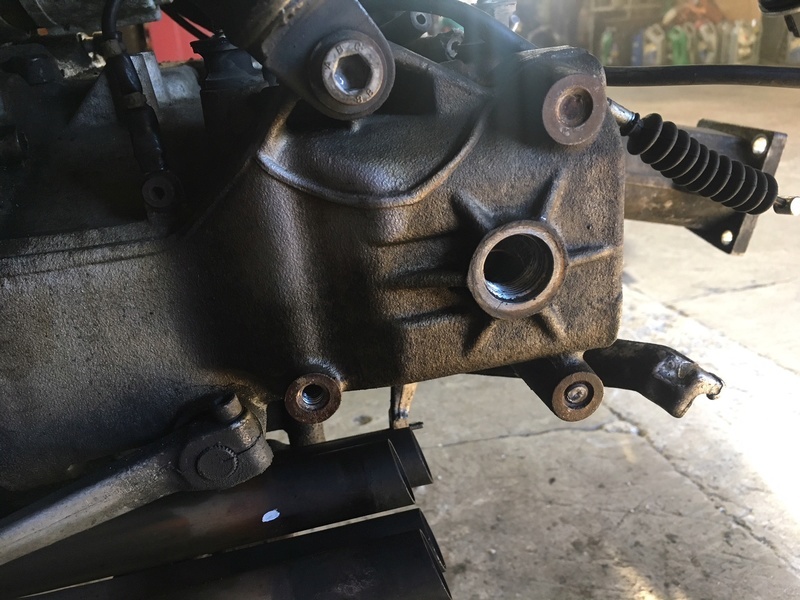 But before tearing everything down to clean the Sprag by hand, everyone was suggesting that if we could just get the bike started, we could get it cleaned out with some high detergent oil. Thankfully after doing a few tiresome bump starts down the side of our country road, she roared to life! The decent amount of smoke coming out the tailpipe quickly subsided. A good sign that there was no immediate issue, but the bike hadn't been running in some time. It took a decent amount of time using the choke and throttle, to get the bike warmed up and running at idle without assistance. We tweaked the master idler screw to help the bike idle right around 1K RPM. We had a small celebration, of slow 100 foot rides back-and-forth in the first few gears. Just a good feeling that we were making progress! I ran to the local hardware store to pickup some Rotella Diesel oil. A quick oil change was in order, to clean off what we assumed to be a gunked-up Sprag Clutch with some of that high detergent oil. While I was at it, I needed to "borrow" the left front caliper off of Frankenstein just so I could safely take Fairing up and down our road. The oil seemed to help the Fairing, but more run time will still be a must . But because the bike is not yet road trip worthy, we were only able to take short rides. Just a little 1-2 mile runs back and forth. At the footpegs, the bike came with the top bolt already snapped off. The other bolts took a lot of PB Blaster and time to work out. Unfortunately it seems to be very common for these bolts to bend and warp. Again this is an early production 1985 model, meaning that it has the rubber mounted peg plates. Once the transmission comes out, we'll have to take some time in order to clean this up and hopefully remove all the broken bolts. Because.... you know foot pegs would be helpful. So far, so good with that one. Alright I don't know about "ok", but they certainly look better than the driveshaft counterpart. In any event, I'm going to have to take a break from Fairing to look at Frankenstein's FD/DS. It may be time to add some items to a parts list. Either way, progress is progress. I'm looking forward to getting some things fixed on Fairing. 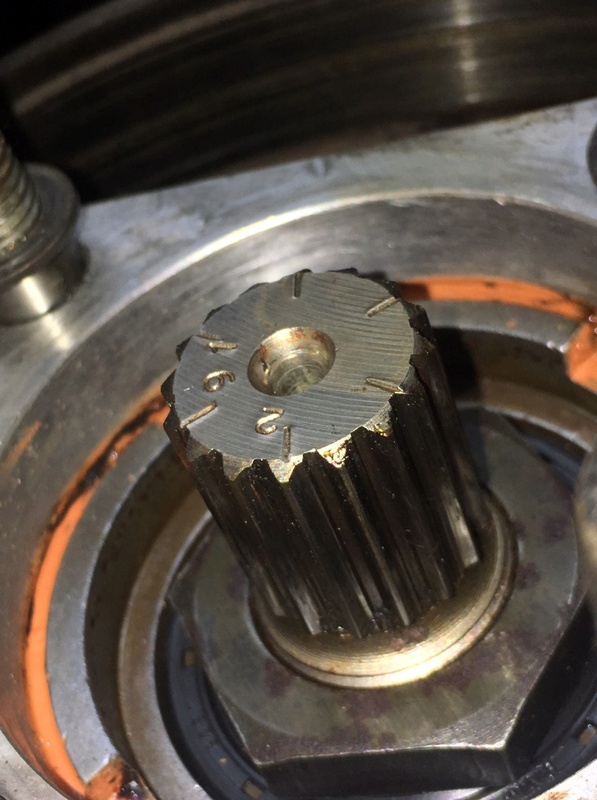 The final drive input splines are harder than the drive shaft splines so it's normal that the majority of the wear is in the shaft. For bikes that have sat for a long time it's a good idea to get the fuel injectors reconditioned. Prices vary WIDELY on this service so do some research before selecting a shop. Right swing arm pivot: Just work around the edges prying it out. Unless you're REALLY hard on it it is a tough part to damage. Once you get it out a little ways trying spinning it to loosen it up. FD splines: they're toast. Take a closer look at your picture and you'll see a small ledge at the base of each spline. They look good because they've worn evenly, but that ledge is the amount of wear in each spline. Deep ones . You get a good grip on the little so-and-so though. @Dai wrote: FD splines: they're toast. Take a closer look at your picture and you'll see a small ledge at the base of each spline. They look good because they've worn evenly, but that ledge is the amount of wear in each spline. Dai, good catch on the FD Splines. I took another look and you're correct. Those look to have worn as well, although not as bad. But from what I'm reading if you replace one, you should replace both ends. 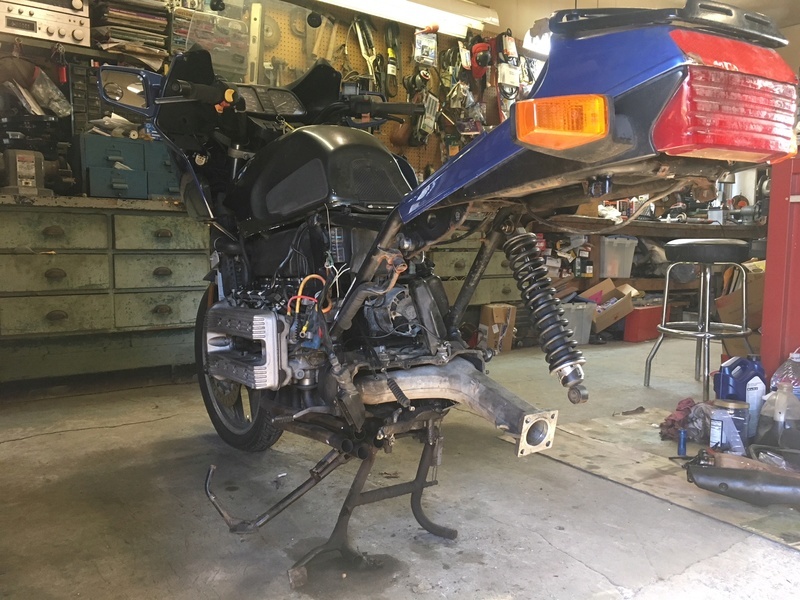 In a way to take a break from the Fairing bike woes, creative a better base of comparison, and some just pour excitement, I decided to take some time to work on Frankenstein. I was actually pretty happy with the progress of the tear down. Granted this bike was a little more torn down to begin with, but I actually ended up bypassing the status of the Fairing within a few hours. I was able to get the rear end removed, including the drive shaft and final drive. I think that both looked a lot better, than it's Fairing bike counterpart. Frankenstein on top, Fairing on bottom. Frankenstein also came with the cooling system and timing chain system removed. This made things a little easier to remove, but also created more of a learning curve to reinstall. Thankfully all the bolts, minus one, came out without too much of a fuss. This includes every single foot peg mounting bolt (phew!). As it stands now, the plan for Frankenstein is a Café Racer conversion. 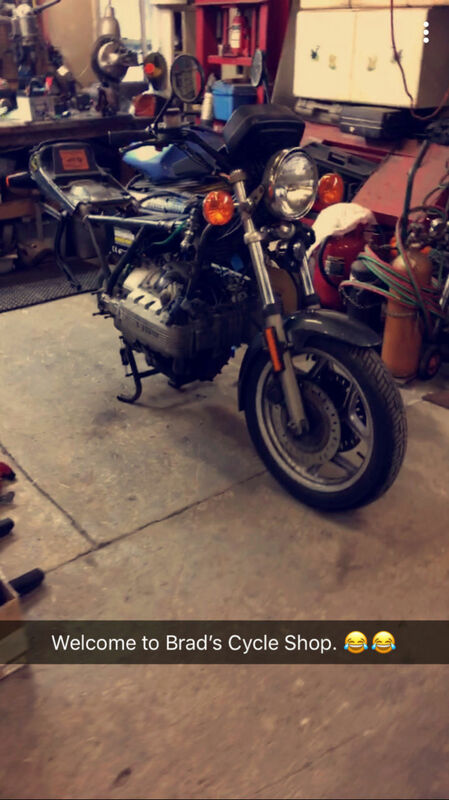 Fairing will either be returned to stock and flipped, or my father will keep it. I thought it would be a great bike for him, since he's now retired and has been motorcycle-less since the late 1970s. I guess the next step is to start pricing out the best places for these parts. PM me a list of the parts you're looking for. You don't need a clutch alignment tool either, you can use the transmission to do that. I have a clutch alignment tool but I seldom use it because it is not really necessary and in my experience using the transmission as your clutch alignment tool works better. Top item in both cases. I appreciate the insight here. I would be ok with not using the guide bolts. But for $25-$30, the insurance of the clutch alignment tool is worth it to me. I'm not as familiar with these bikes, and you have to hope you pull that transmission back perfectly straight without shifting the clutch plate. I've been watching a lot of the Chris Harris videos. He swears by the fact the only thing that should be used is the Staburags on the clutch splines. Just curious why you are suggesting using the others linked? Per Paul Glaves (longtime K guru and ex BMW wrench) I use a 50/50 mix of Honda 60 and Wurth Sig 3000. The Wurth stuff is incredibly STICKY and keeps the moly around longer. @duck wrote: Per Paul Glaves (longtime K guru and ex BMW wrench) I use a 50/50 mix of Honda 60 and Wurth Sig 3000. The Wurth stuff is incredibly STICKY and keeps the moly around longer. Am I missing in the links you sent above, where to purchase the Wurth Sig 3000? It's 14 oz tube - way more than you could ever need. 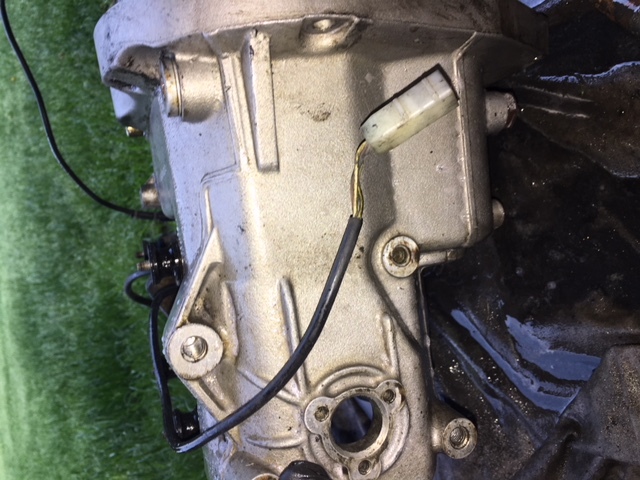 One thing about the guide pins that gets in the way is that you need to tilt the transmission a little (can't remember which way - CW or CCW - off the top of my head) to get it past the frame when putting it on/taking it off. If the guide pins are too long then they get in the way. That's why I don't use them. Once you get the transmission past that point you can just use some long hex head M8 bolts to guide it the rest of the way. I do do that occasionally. Over the course of lots of splines on lots of bikes for lots of miles I have sought a better spline lubricant than had been available. 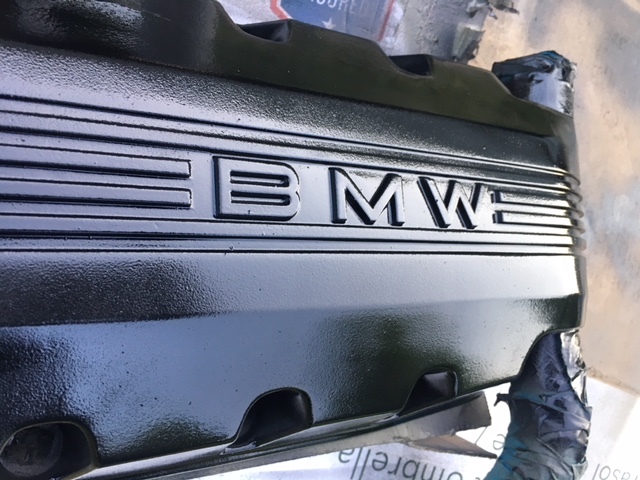 BMW's recommendations were all over the place over time, ranging from copper anti-seize to Optimoly paste, to Stabarugs paste, to BMW #10 red grease (essentially Texaco Starplex). This latter stuff would melt, drip, and run in the cartridge on the shelf and was very poor for splines. One tried and almost true alternative was Honda Moly 60 which is a moly paste with 60% powdered moly solids. 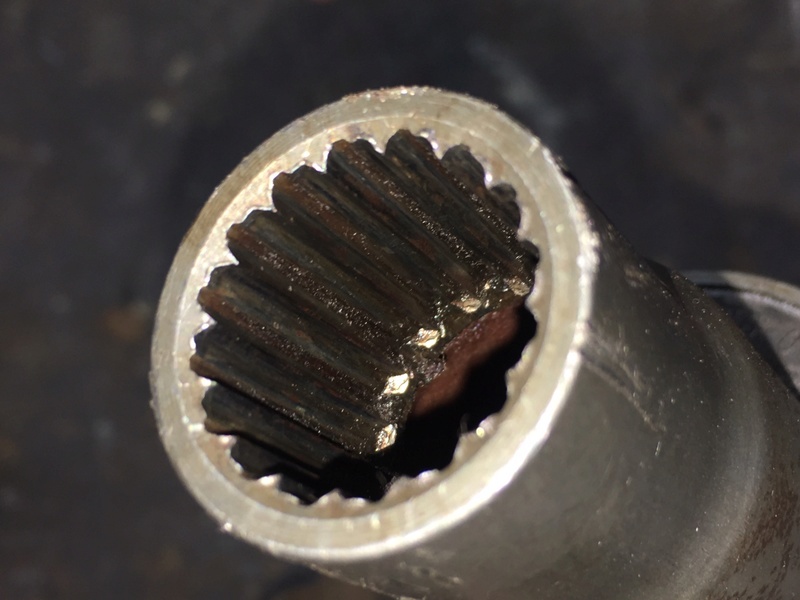 My experience on K75/K100 driveshafts (which have a deserved reputation for significant wear) and on clutch hub splines on Airheads, K bikes, and Oilheads was that the HM60 dried out too quickly and lacked sufficient anti-corrosion properties. It also doesn't cushion as well as a sticky heavy grease. Wurth SIG 3000 is a very sticky, heavy, Lithium based grease. It doesn't dry out, stays in place pretty well, has good anti-corrosion characteristics, and cushions things pretty well. But it lacks moly (MoS2 - Molybdenum disulfide) which provides excellent boundary layer lubrication. 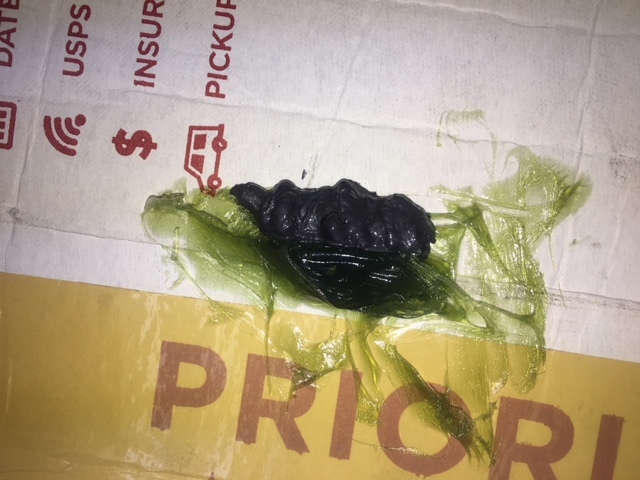 I concluded that 60% moly wasn't necessary so mixed the two, 50-50, providing a still heavy sticky grease with 30% moly solids content. I used it for many years. And Matt Parkhouse of Airheads fame has been selling small quantities of that mix for many years. I too have used it for more years/miles than I can recall. My airhead has well over 100 k miles on the clock and the splines still look amazingly good. The bike is on course to outlast me by a huge margin. Looks like horses for courses. Here in the UK Staburags (sp?) isn't available without going to the US, but Optimol is. The last time I did a spline lube was 30 months and approx 30,000 miles ago and I still had to wipe the stuff off to check the splines this time. Before that, it was 12 months and 14,000 miles and again, about the same for the previous two spline lubes. It was the way that the Optimol stuck to everything in sight and needed a really good clean off during the annual spline lubes that persuaded me that I only needed to check every couple of years. I didn't mean to run on to 2.5 years but, as stated, I still had to wipe the stuff off to check the splines. If you think about it, at the clutch the only pressure is rotational. The bevel drive gets the worst of it with both rotational and longitudinal movement (as it bounces up and down). At least with the bevel drive you can do a spline lube by undoing the four bolts that hold it to the swingarm and then pulling it gently backwards until you can see the splines. You can then apply more grease on the end of a screwdriver (heresy!!!). The rear drive spline does not get any longitudinal movement as the swing arm rotates because the front uni has the same centre. This has been demonstrated by sidecar Paul some years ago. @Dai wrote: If you think about it, at the clutch the only pressure is rotational. The bevel drive gets the worst of it with both rotational and longitudinal movement (as it bounces up and down). 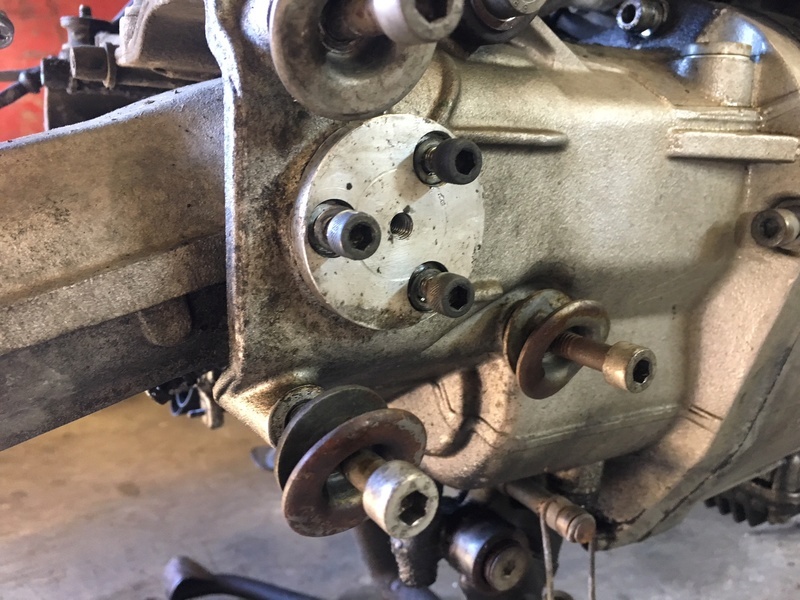 At least with the bevel drive you can do a spline lube by undoing the four bolts that hold it to the swingarm and then pulling it gently backwards until you can see the splines. You can then apply more grease on the end of a screwdriver (heresy!!!). What do you think happens when you pull in and release the clutch? If the clutch plate didn't move then BMW could just bolt it in and eliminate the need for splines. And Moly grease is for friction under load - like when you let the clutch out while accelerating. 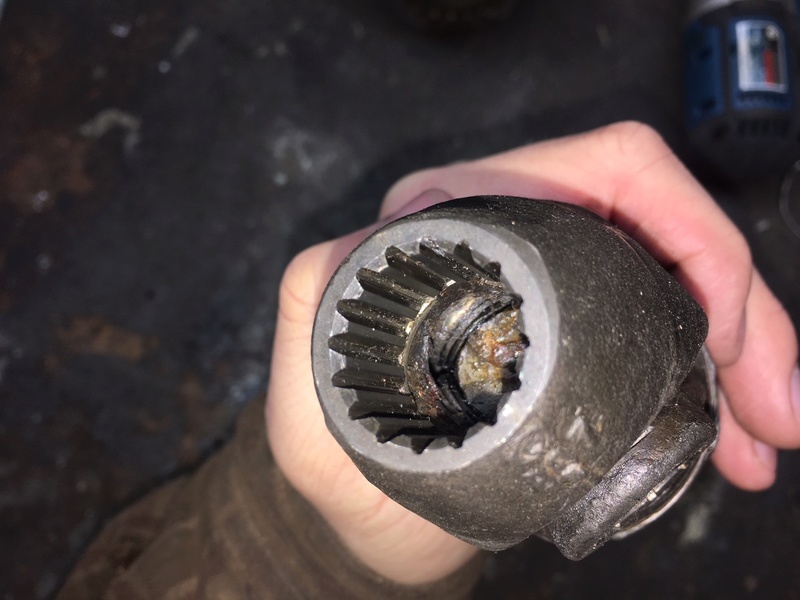 If the clutch didn't move on the splines then all you would need is a high pressure grease. @RicK G wrote: The rear drive spline does not get any longitudinal movement as the swing arm rotates because the front uni has the same centre. This has been demonstrated by sidecar Paul some years ago. A U-joint at an angle changes length as it turns. The front splines have a clip in them so where do you think that change in length is accommodated? Thanks for that link Laitch I am hopeless at finding those things. This explains it fairly well. It certainly bought back some memories of tech college and all the study that I did to get my trade certificate and quite a bit more I have done since. The change in speed and the change in length are directly related (caused by the "imperfection" of U-joint geometry) and one of the main reasons that FWD cars have CV joints. "A U-type joint works fine when there is a very limited shaft angle variation (primary driveshaft on a RWD vehicle, for example). However, a U-type joint will cause the driven shaft to slightly change length and will create a speed (rotation rate) change between the input and output side of the joint when the shaft must change its angle by more than a couple of degrees." Both the paralever and monolever drive trains have unclipped splines in order to accommodate it. 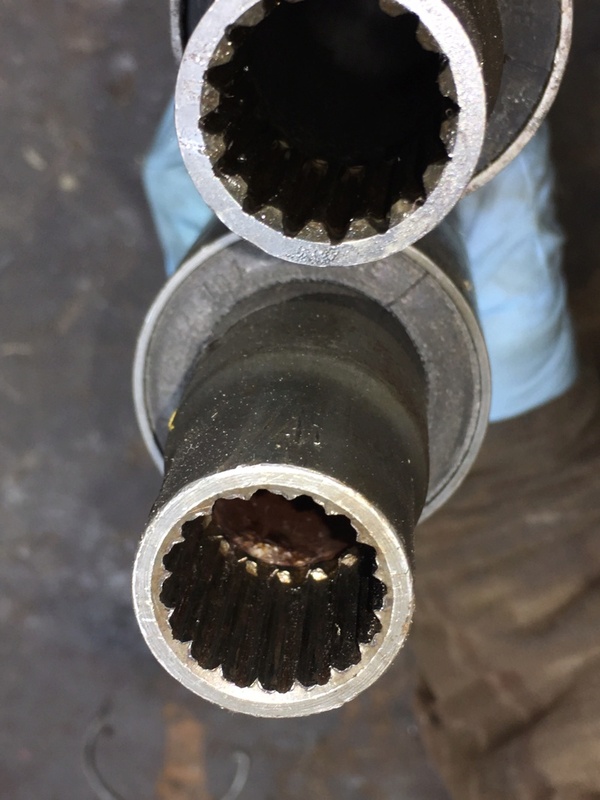 In the 2Vs at the final drive and in the 4Vs in the splines between the two halves of the drive shaft. Putting the U-joint axes as close as possible to the swing arm axis does mitigate spline travel caused by the changing geometry as the rear end goes up and down but it can't keep the U-joint from changing length as it rotates. 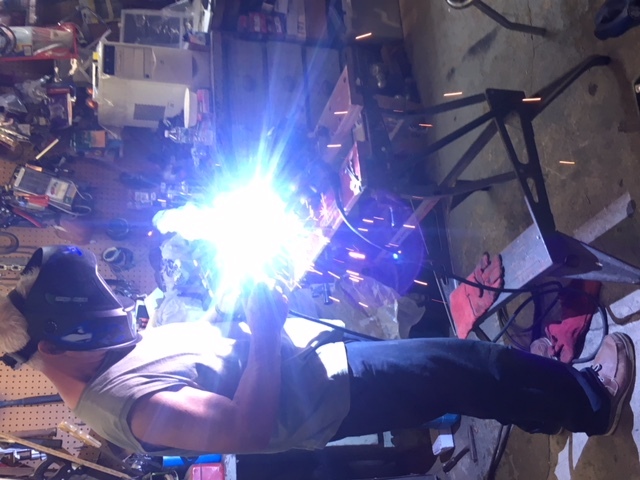 Still making some progress on the bikes in between life. Had to order a few parts before being able to proceed. Big shoutout and thank you to fellow member "Duck", who came through a few of the parts needed. He was clear, honest, and a pleasure to transact with! After those parts came in from Duck (DS, FD, Caliper), I needed a few other odds and ends. 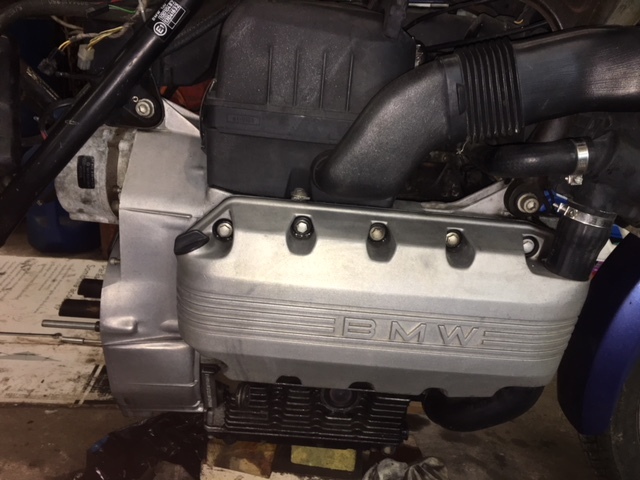 I placed an order through Motobins, for a complete engine gasket set, 2 clutch boots, clutch alignment tool, shim tool, and a couple fresh BMW tank badges. Amazon came through with the Honda M-77 (Honda Moly 60 replacment), and I purchased the Wurth Sig 3000 from seemingly the only place available online. The concentration then turned back to Fairing, as it's now making sense to complete one bike at a time. By purchasing some longer bolts at a local hardware store, we cut the heads off them to act as transmission bolt guides. They worked flawlessly, and made the job much easier! 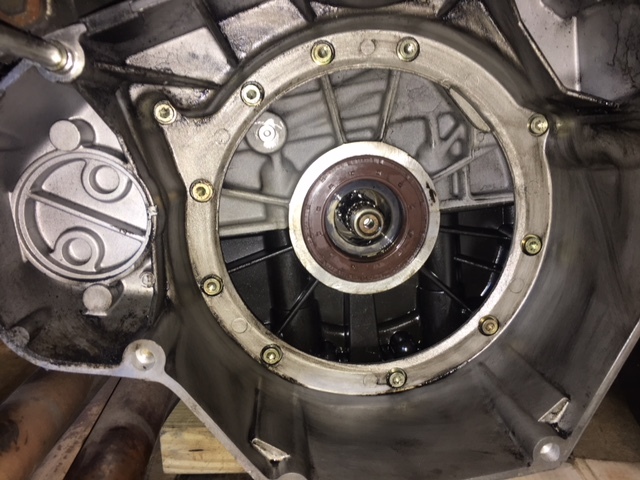 After removing the transmission, we finally got a view of the clutch pack. I apologize for the lack of photos at this point, but I was eager to get moving! We disassembled the clutch pack to find that the friction disc was in good shape. One less issue to tackle. It did seem as though the Rear Main Seal (RMS) had a healthy leak. Good thing I purchased that engine gasket kit! I tried to tidy up the bell housing, before we pulled the old seal. That RMS was in there pretty good! A slide hammer ended up being victorious after about an hour or so of finessing it out. The new RMS was a breeze to put in. We reassembled the clutch pack, and reinstalled it to specs. Now onto the reason we had taken this much apart in the first place... the infamous clutch spline lube! Using a mixture that other members had mentioned in this post and others, I used a 50/50 mix of Honda M-77 with Wurth Sig 3000. Man oh man is that combo sticky! I then got into cleaning mode, and started to tackle the engine and transmission. While you can't eat off them, the parts have come a long way in cleanliness! Even though it would have been nice to repaint the driveline and motor, it seemed like overkill if I can just clean most of the crud off. 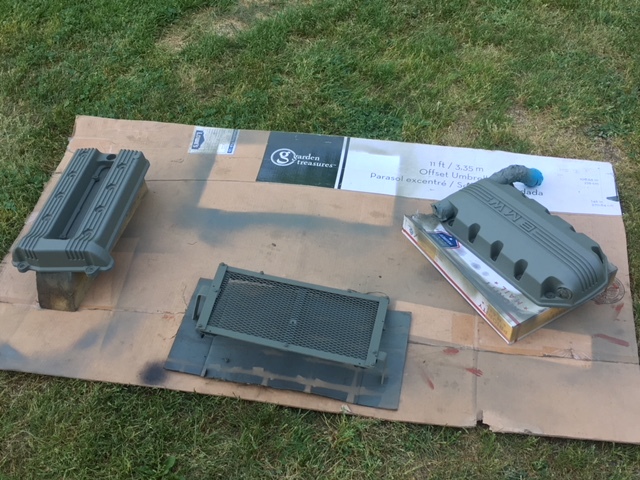 To throw a little color in though, I decided to paint the cam/crankcase covers. But before we can proceed with reinstalling the transmission, those pesky snapped and seized bolts need to be dealt with! First attempt was to weld a nut onto the bolts, in the hope that we could work them out. No such luck. We broke several welds, and neither bolt wanted to budge. Not that we wanted to start drilling into them, but we had no choice. We begun that process tonight and will have to finish that later on. That's where we sit as of now. I'm hoping once we reinstall the transmission, I can reassemble the rest of the driveline. Next step would be to test the Blue tank fuel pump (as we ran it using the green tank), and reinstall all the fairings! I did replace it! Thanks for the heads up there.